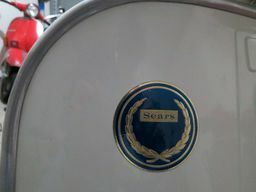 I want to invite everyone to the 1st Annual Texas United Scooter Rally, a rally for all scooters, new, old, whatever you drive. 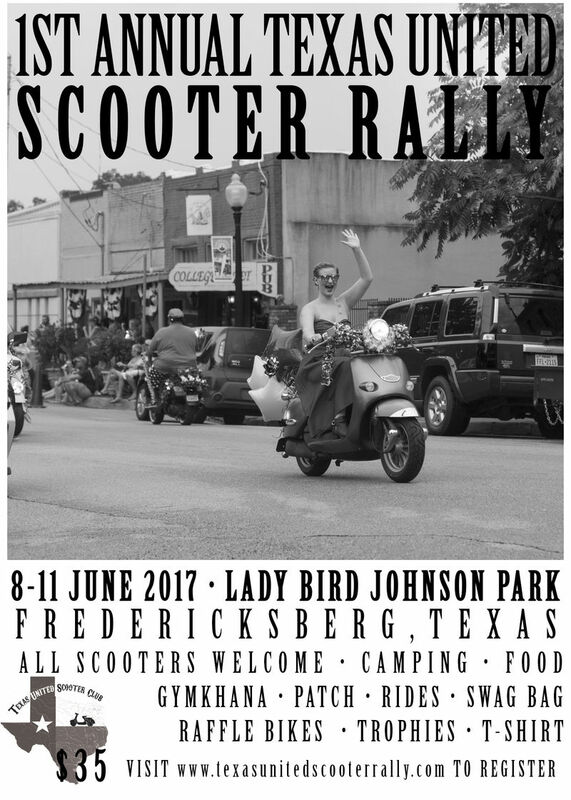 This is going to be the first Rally for the Texas United Scooter Club. 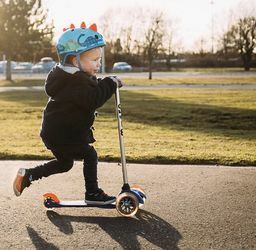 This club was created as a way to connect all the different scooterists scattered across our great state and try to get info out about what is going on in different cities. 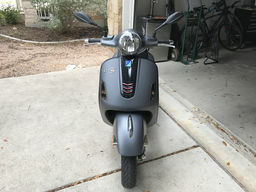 This rally is an extension of that, think of it as a bit of a Amivespa, but for Texas scooters, a TexaVespa if you will. The Rally is being organized by a large group of people from across the state and from different clubs, with an emphasis on clubs working together to pull it off. 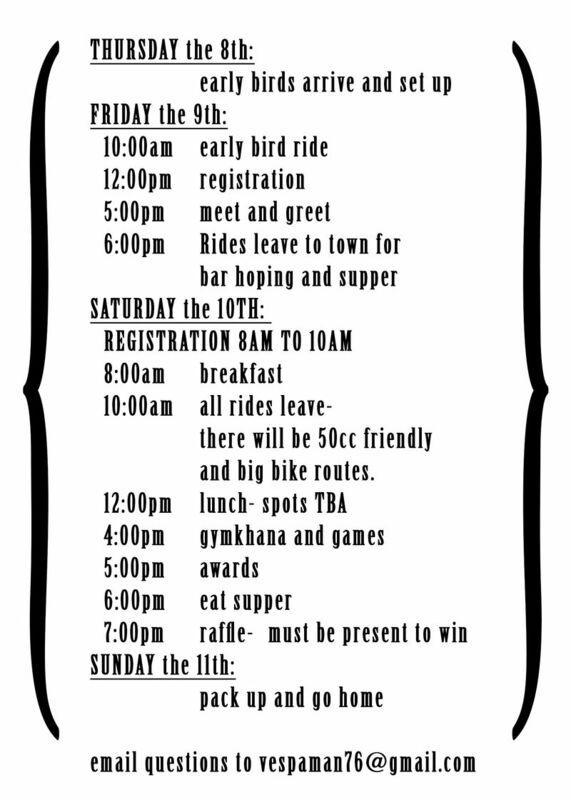 One club may build the trophies while another cities riders plan the rides, while a third group organizes the Gymkhana. And the location may change year to year, moving around the state. 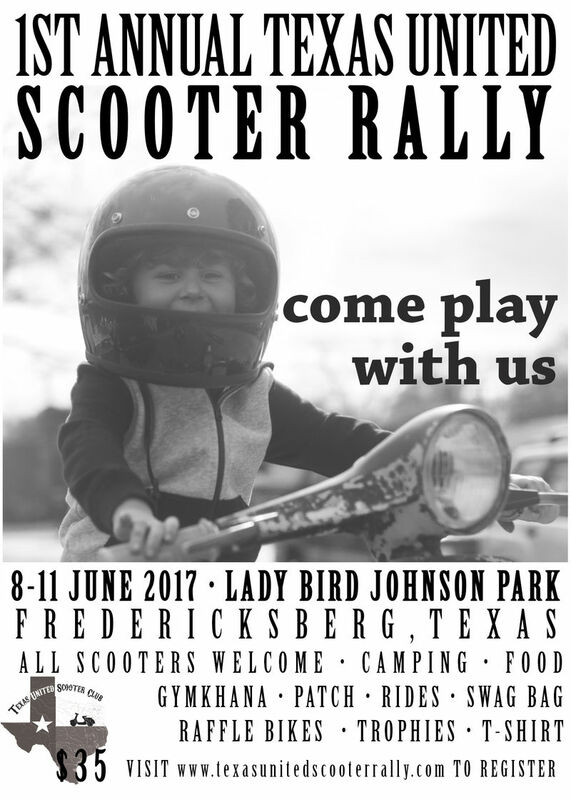 This is an exciting event and we look forward to starting something great that will draw scooterists from all over Texas, and beyond. We hope to see you there! Special going on this week and this week only. Register this week at paypal - $35 vespaman76@gmail.com and you get 10 raffle tickets instead of one raffle ticket for the raffle scooters. How has the response been for this? My wife and I will be out of town but would love to go next year! Curious as to how this event turned out. I'd love to participate in 2018 if it repeats. Here is a FB link to some pictures from the event. I hope it repeats!! Good times and great people! Any word on repeating the event in 2018?